After a strong race result in Russia last weekend, where the Alfa Romeo Sauber F1 Team’s Charles Leclerc (above) finished in seventh place, the Swiss team gets back on track in Suzuka this morning for the start of the last Asian race weekend of 2018. 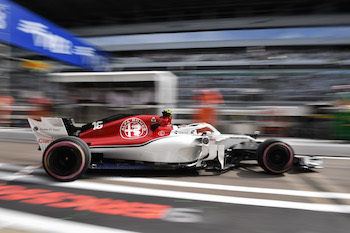 After a strong race result in Russia last weekend, where the Alfa Romeo Sauber F1 Team’s Charles Leclerc finished in seventh place, the Swiss team gets back on track in Suzuka this morning for the start of the last Asian race weekend of 2018. The Suzuka Circuit is a highly technical racetrack, with complex corner combinations that are a challenge for drivers to find the ideal racing line and motivated by their progress and the most recent results, Leclerc, who is bound for Ferrari next year, and his team mate Marcus Ericsson, who will drop to the role of the Sauber team’s third driver in 2019, will approach this weekend’s Japanese Grand Prix with plenty of optimism. The Suzuka Circuit is a landmark for drivers as well as engineers. The first sector is dominated by mid to high-speed corners and changes of direction, therefore, high downforce is crucial. In the second part braking stability and traction, with the aerodynamic performance of the car, play a huge role. The third sector is the shortest with one chicane. The weekend at Suzuka gets underway today (Friday) with the first two free practice sessions before the third practice session and qualifying come up tomorrow (Saturday) and finally the race on Sunday.